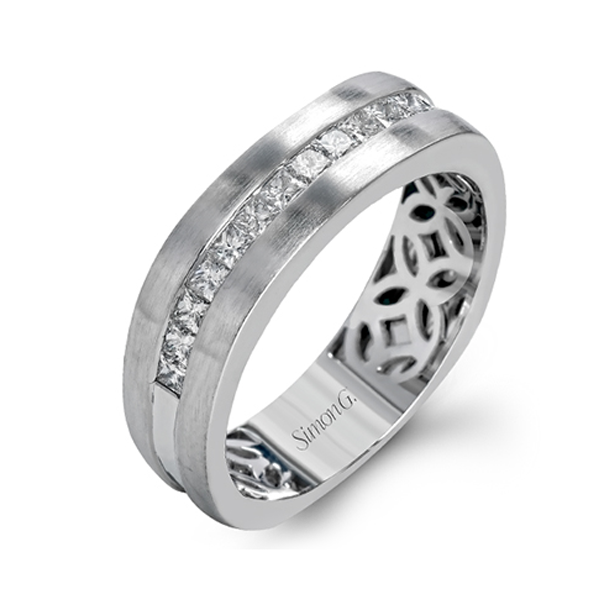 This masculine, brushed men's wedding ring is from Simon G. Crafted in 18kt white gold, the piece features a row of recessed white diamonds sandwiched between two precious metal bands. Delightful design elements continue on the interior of the ring, too, with decorative venting. Simon G. has created a great gents ring in this wedding band to be worn and treasured forever.